It's crazy how quickly time is flying by knowing the holidays are practically here. Just think -in about a month, we'll be thinking of Thanksgiving dinner and all the preparations involved! 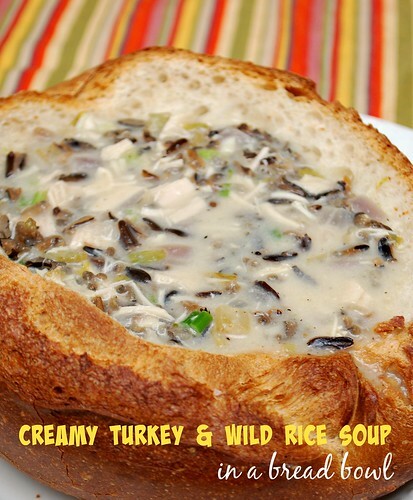 This soup is one I plan on making again after Thanksgiving to use any leftover turkey we may have. And if you don't want to wait until then, you can also substitute the turkey for cooked chicken too. In a Dutch oven set over medium high heat, melt the butter and add carrot, onion, green onions, rosemary, black pepper and garlic. Cook until softened and browned. Stir in the rice and turkey; then add the broth, scraping the bottom of the pan to loosen the browned bits. Bring to a boil then reduce the heat, cover and simmer for 1 hour and 15 minutes or until the rice is tender. 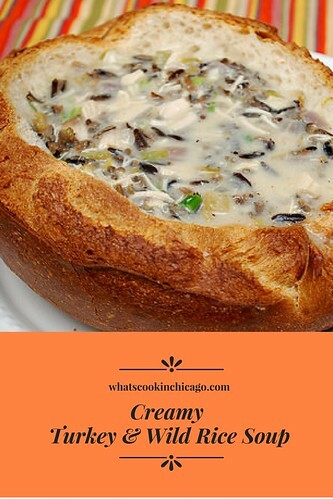 In a small bowl, whisk together flour and milk to create a slurry. Slowly add to pot and cook over medium heat until thickened, about 7-10 minutes. Stir in sherry and salt; seasoning to taste. 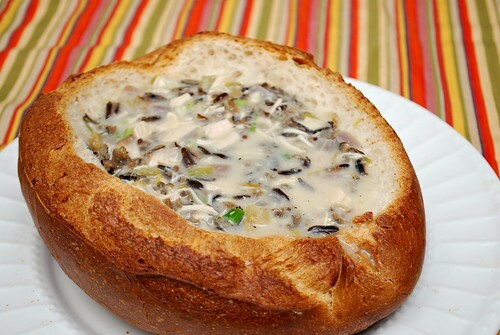 Ladle soup into bread bowls for serving.